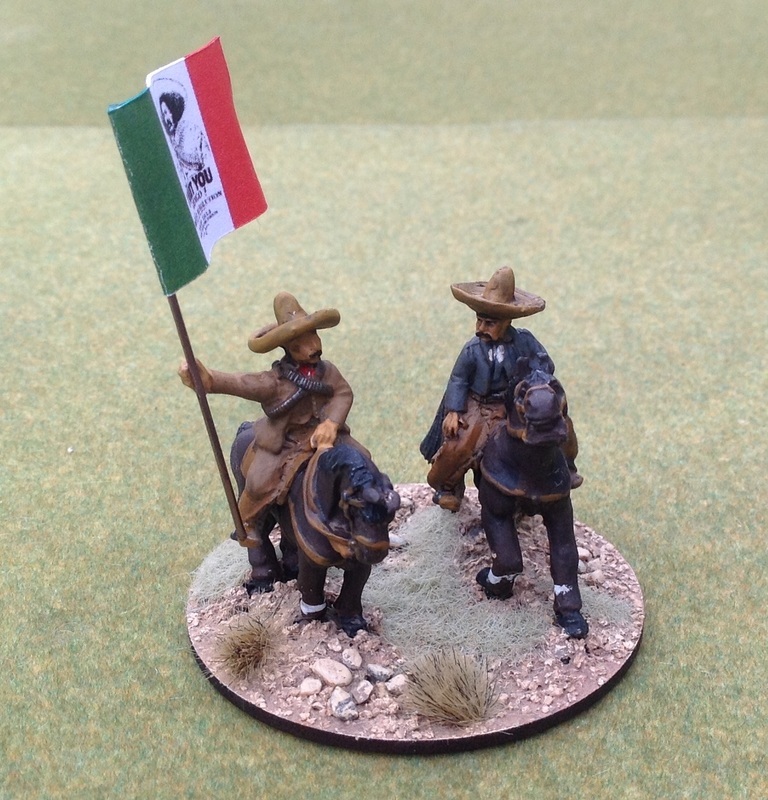 This is a participation game based on the Mexican Revolution 1910-20 and one of its most colourful figures, Pancho Villa. 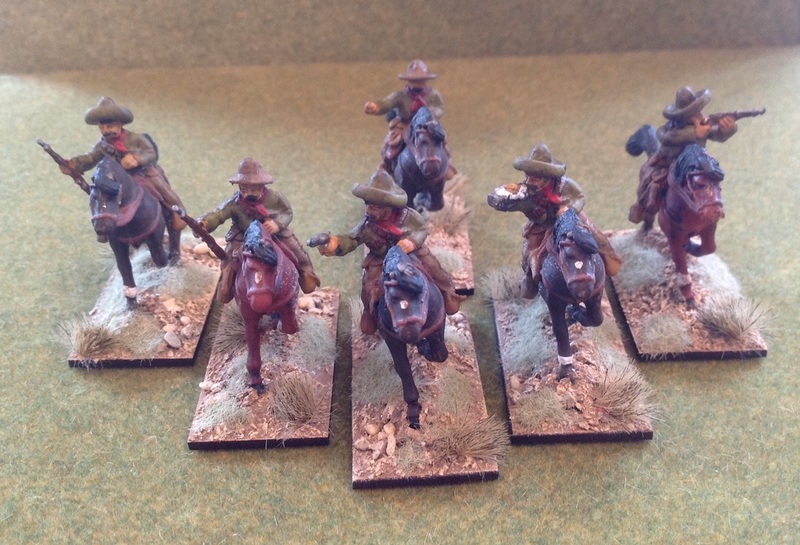 Players will command units of Pancho Villa’s army, known as the Division del Norte. The revolution began as opposition to the 35-year conservative regime of Porfirio Diaz, based on a call for land and industrial reform. Diaz was overthrown and initially replaced by the moderate Madero, who was then assassinated and replaced by General Victoriano Huerta. He was forced to resign in July 1914 by an alliance of revolutionary forces, which then fell out, leaving Venustiano Carranza as President. Over time the Revolution changed from a revolt against the established order under Díaz to a multi-sided civil war in particular regions with frequently shifting power struggles. Pancho Villa was based in Northern Mexico. Unlike other rebel groups, his forces were well equipped and supplied. While he introduced modern methods - including artillery, machine guns and aircraft, he often reverted to the cavalry charge. This was his undoing at the Battle of Celaya in April 2015, when government forces defeated him. The remains of his army fought on for a number of years. His notoriety is largely based his March 1916 raid on the US town of Columbus, New Mexico - the last invasion of the mainland United States. It resulted in a punitive US army expedition led by General John Pershing that failed to catch Villa. The Villistas have arrived on the outskirts of a small town in northern Mexico. Local intelligence has informed you that a derailed railway van is awaiting a repair team. 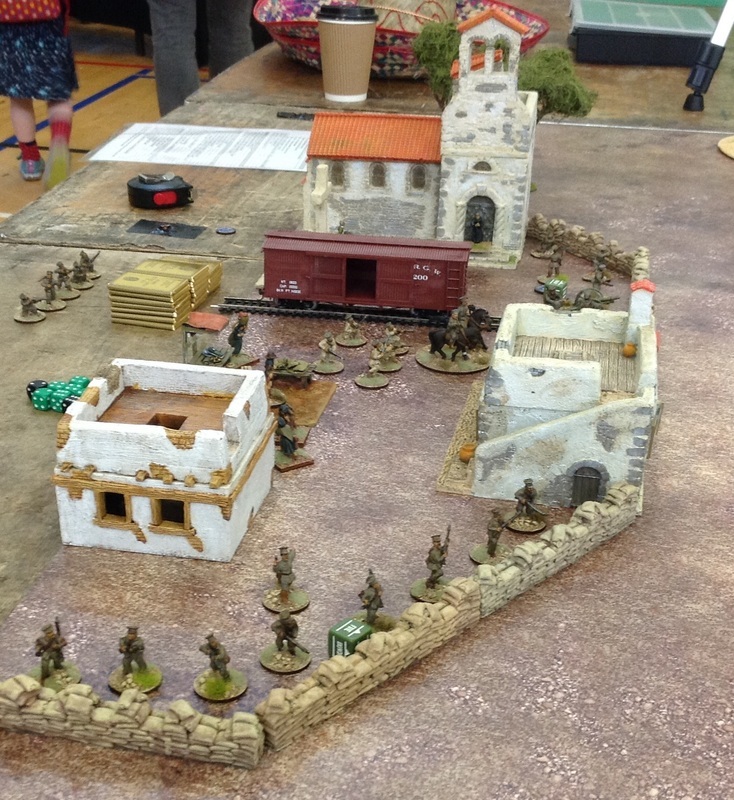 Units of Federales with machine gun and artillery support have arrived to guard the van. They believe this is because the van contains gold and other valuables. Your objective is to capture the van and extricate the gold, before the repair team and reinforcements arrive. That will be diced for after six moves. 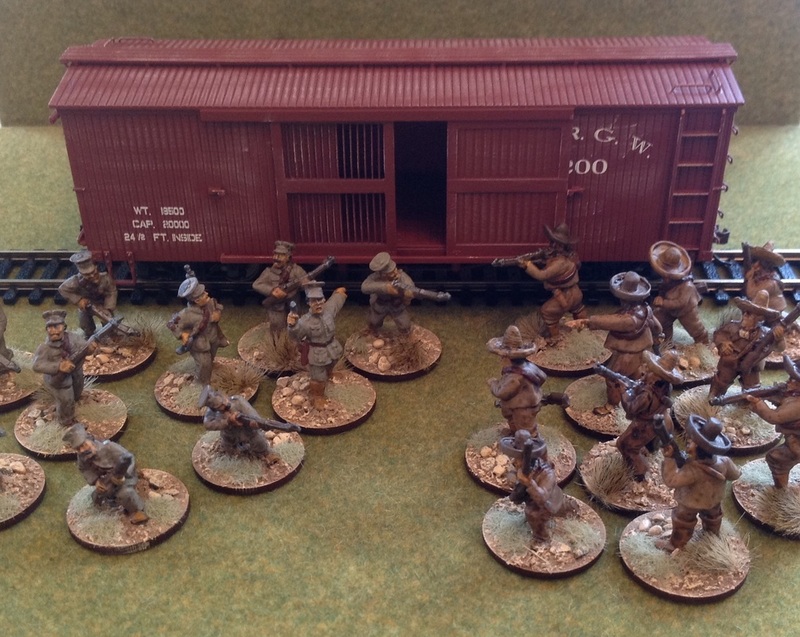 The figures are 28mm from Old Glory, Outpost and Foundry ranges. The buildings are largely Grand Manner. 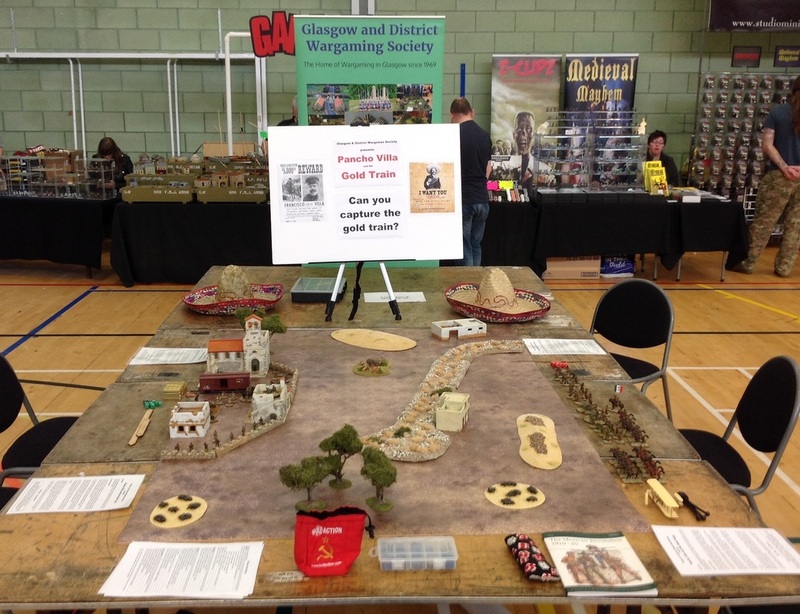 The rules are adapted from Bolt Action and are set out overleaf. Viva Villa – Viva Mexico!